From Oct. 23 to Oct. 27, the Texas Tech University Health Sciences Center El Paso (TTUHSC El Paso) campus went pink for its second annual “Pink Out.” The weeklong campaign encourages students, faculty and staff to don pink in honor of National Breast Cancer Awareness Month. 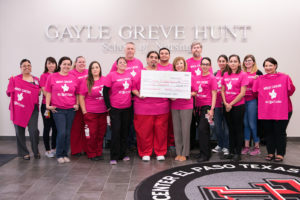 TTUHSC El Paso’s Red Raiders went pink for a week in honor of National Breast Cancer Awareness Month. 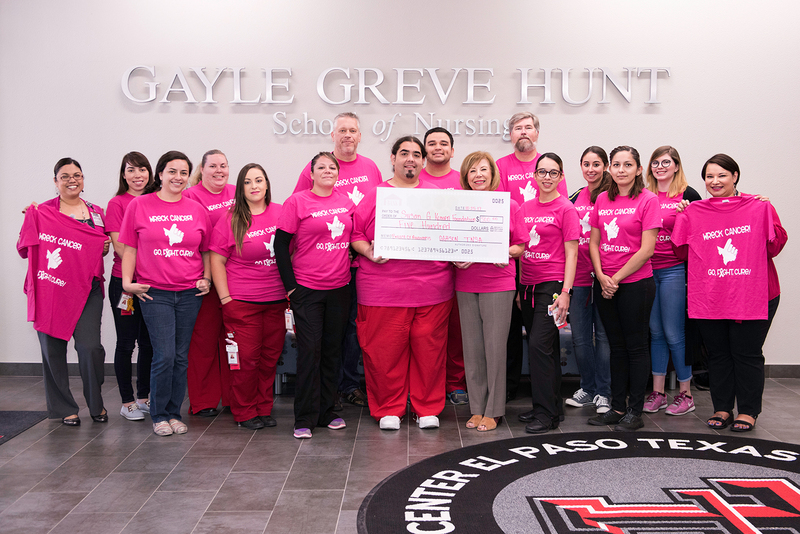 As part of the campaign, students in the Gayle Greve Hunt School of Nursing (GGHSON) chapter of the Texas Nursing Students Association (TNSA) hosted a T-shirt fundraiser for Susan G. Komen. Funds raised will go toward helping uninsured and underinsured breast cancer patients access treatment; promoting community awareness about breast health; investing in breakthrough breast cancer research; and financing other TNSA activities on campus. This year’s Pink Out raised over $800, $500 of which will be donated to Komen for breast cancer education, treatment and research.